Good product work well and leave my hair smooth smell nice but I wouldn't purchase this product again to . 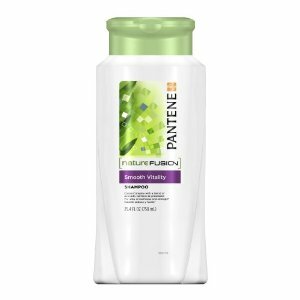 The smell and idea are excellent, but I thought it left my hair kind of dry and brittle. I absolutely love all Pantene products. I think they are one of the best shampoos! They always leave my hair smelling fresh and good and in great condition! I recommend this and all their products! I have used them for many years now. Love it, need I say more. Smells great, makes my hair shiny and silky, but still manageable. Reasonable price when on sale and you have a coupon! I received a free full size sample of this product. I was a little skeptical at first I thought that it would be like every other shampoo on the market. Boy was I wrong. It was not weighed down with a heavy odor. It left my hair shiny and vibrant. Nice clean scent. I loved it!